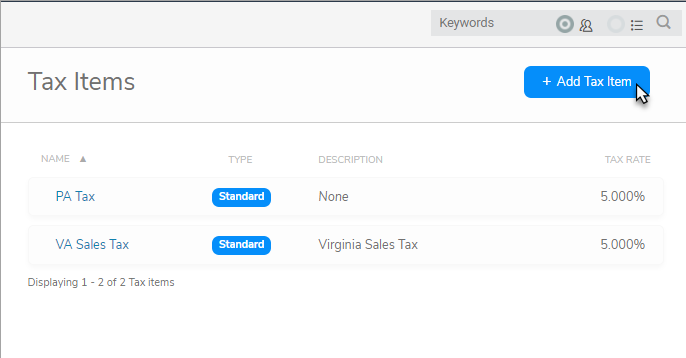 Enter the details of the item and click Add. 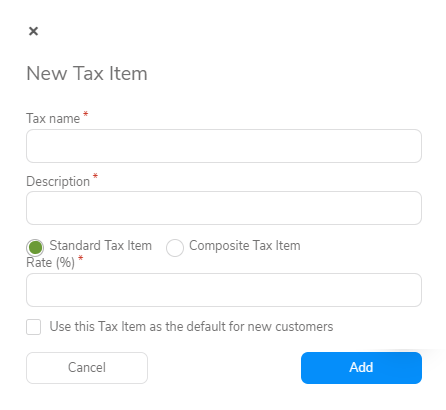 Note: You can use the Global default rate box to mark a default tax rate to any Customer without a specific default tax rate. Note: Need to set up a Composite Sales Tax? Check out our article on Composite Sales Taxes! 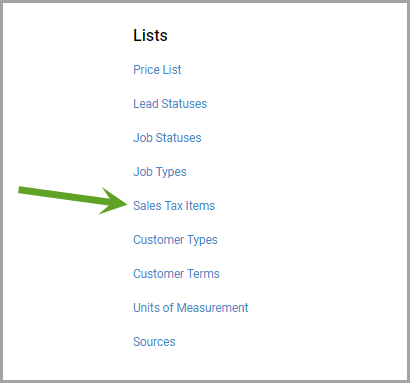 Once you've made your Sales Tax Item, you can add it to any Estimate or Invoice by choosing the correct Tax Item from the drop-down menu.